So I decided to dust off my Dark Cloud 1 game and start playing it again (I just got done with KH1 and to me they feel very similar so the progression was natural) yet when I try to play Dark Cloud 1, I top out at around 40fps. It's really fidgetty too, like it'll jump all over the place as well. Everything else is the bolded defaults. The odd thing is that I can run Kingdom hearts at a constant 60fps, same with KH2 and KH: CoM. Is it just Dark Cloud that's iffy or are there any specific settings I should change? Not all games requires the same from the machine. You should try a bit of speedhack and the scaling at 2x, maybe 3x. Possibly putting the interlacing as Blend bff is better for you and eliminate image shaking. What do the EE/GS% numbers in the game window say when you get slowdowns? Also kingdom hearts is of the fastest games 3d games in PCSX2 so not exactly a good way to compare (not that comparing any 2 games is a good way to measure speed anyway). 4x Native surely may be a bit much to expect from your GPU. Definitely lower that (that's greater than 1080p). If you're completely on default otherwise, set the GSdx plugin to use your CPU's SSE4.1. Dark Cloud may possibly need Speedhacks with your processor, so consider enabling them, and applying the [Recommended]. Increase the cycle slider(s) as needed, or just try the Preset on the bottom instead. Well I tried doing all the things you guys suggested and it works far better now. I get the occasional slow down but nothing game breaking. Also my EE usually hovers at almost 100% when in the dungeons and the GS is around 50%, I assume that's rather high? Thank you for everything! EE being that high suggests PCSX2/CPU are the bottleneck, speedhacks as mentioned before or changing the VUs to use the superVU recompiler or lowering the EE/VU clamps, or simply using the "preset" slider might help a bit more. (05-24-2011, 04:03 AM)Shadow Lady Wrote: EE being that high suggests PCSX2/CPU are the bottleneck, speedhacks as mentioned before or changing the VUs to use the superVU recompiler or lowering the EE/VU clamps, or simply using the "preset" slider might help a bit more. The 100%ish was with the speedhacks enabled. I'll look into doing the other things you've mentioned although this is a very trial-and-error process for me since I'm not the most technologically inclined person. What res are you going with now? If you just dropped to 3x scaling, you may still be encountering a heavier scene once in a while. Give native a try, if you haven't. 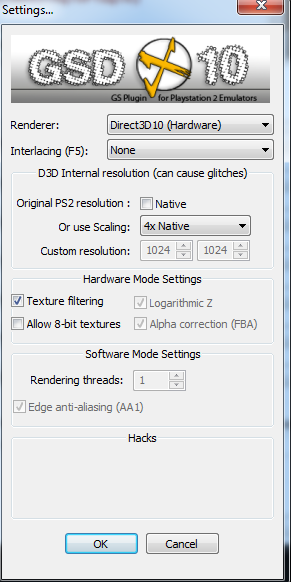 And don't worry; It's a trial-and-error process in general with PCSX2's settings. (05-24-2011, 10:37 AM)Rezard Wrote: What res are you going with now? If you just dropped to 3x scaling, you may still be encountering a heavier scene once in a while. This is out of topic but I'm curious, you guys/gals said that KH is one of the faster games on PCSX what other games are known to run fast like that? Also what's the reason for that? I sure this is simplistic thinking but KH to me seems like one of the newer games so it would draw on more resources? Your final thought is a good one, but it really comes down to what is missing or needs working on (for accuracy) with the emulator (vs what the PS2 has/does). Different games have different dependencies within the native system, so if one game relies more (or entirely) on something that's yet to be implemented or not 100% accurate, you simply get worse (or no) results. IMO, KH could be catagorized around the likes of FFX. These are known to be quite compatible with the emulator, although comparing one game to another is usually not sensible. There are even some newer games that run much better than one's previous in their series.